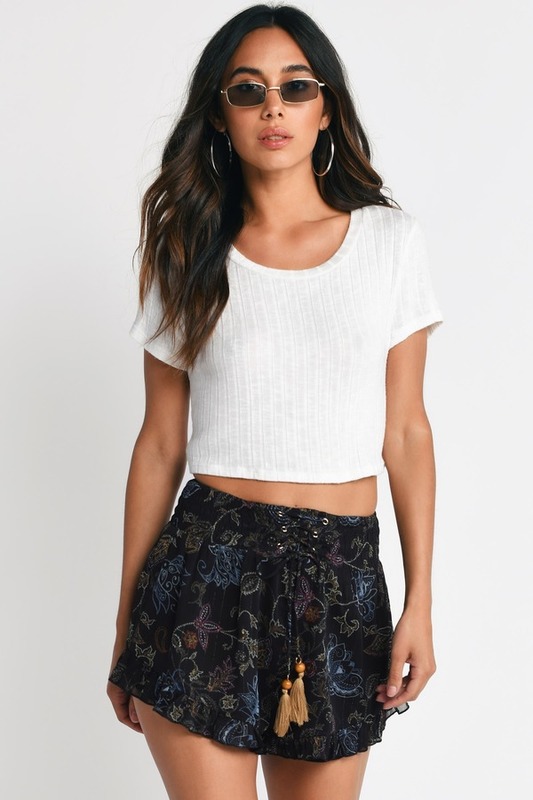 Check out Tobi's Lela Smocked Ruffle Shorts The Lela Black Multi Smocked Ruffle Shorts designed by Tobi features a smocked waistline with a front lace up, ruffle hem, and lined interior on a sheer paisley lurex chiffon weave! Pair with the Lela Off Shoulder Smocked Crop Top to complete the look! 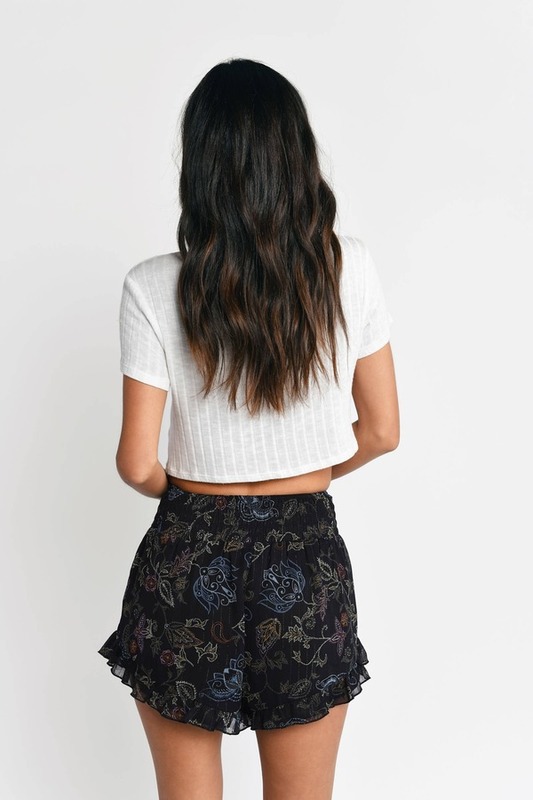 The Lela Black Multi Smocked Ruffle Shorts designed by Tobi features a smocked waistline with a front lace up, ruffle hem, and lined interior on a sheer paisley lurex chiffon weave! Pair with the Lela Off Shoulder Smocked Crop Top to complete the look!